Saturn is known to have (at least) 62 moons. The largest moon is Titan, which has a diameter of 5,200 km (1.5 times the diameter of the Moon) and orbits at a distance of 1.2 million kilometres. From NASA: These three views of Titan from the Cassini spacecraft illustrate how different the same place can look in different wavelengths of light. Cassini's cameras have numerous filters that reveal features above and beneath the shroud of Titan's atmosphere. 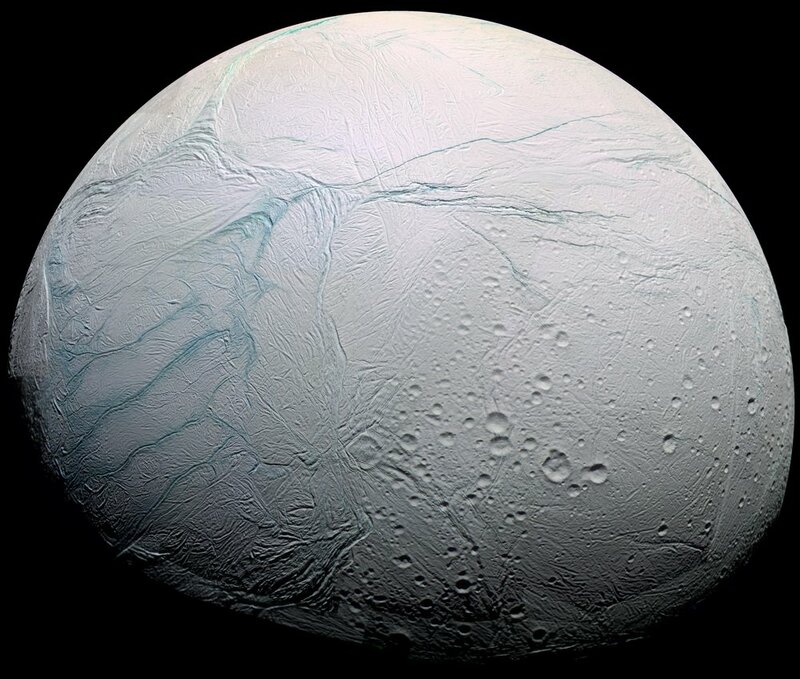 Arguably the most beautiful moon in the entire solar system is Enceladus, which has a diameter of about 500 km and orbits at a distance of 240,000 km. It has the highest albedo of any body in the solar system: an astonishingly high 0.99.